Real Estate | Stuart & Maury Realtors - Bethesda, Chevy Chase, Washington D.C. Real Estate Experts Tips on Selling Your House - Stuart & Maury Realtors Inc. Many people who sell a home are doing so for the first time in a very long while and may be unfamiliar with the process. That process changes over the years and at Stuart & Maury, we find that acquainting or reminding people of what to expect BEFORE IT HAPPENS goes a long way toward minimizing stress and ensuring a smooth, successful transaction. With untold years of experience on which to call, we are able to help sellers avoid potential problems that often cause problems during the sale process. Get your house ready for market. Life has gotten much faster over the years and potential homebuyers’ schedules are full. Because of that and the fact that there never seems to be enough extra cash to make a lot of repairs, most buyers want a home that is in excellent, updated condition so that they can move in and get back to working, parenting and whatever else their busy lives demand. The condition of your home for sale has never been more important than it is now and every step you can take toward being move-in ready will pay dividends in a timely sale at the best price. Check out our SELLER CHECKLIST for suggestions on how to improve the market appeal of your house. Beyond the visual appeal of your house there is also the matter of its structural condition. It is very likely that the contract offer from your prospective buyer will include a contingency that provides the opportunity for the buyer to have a professional home inspection of the premises. On rare occasions, the inspection is “clean” and the buyer simply removes the contingency and the contract moves forward toward closing. However, in most cases, the best kept houses – or even new homes for that matter! – will generate a list of defects that require attention. This could include such items as electrical panels that are rated for more power than the entry cables can deliver, flues and piping related to your furnace and hot water heater, and extremely dirty chimneys. It is hard to say “no” to some of these things that come as a surprise to the buyer, particularly when they are deemed to be unsafe. It is very common for an owner to say “it was like that when we bought the house.” Unfortunately, that does not make the issue any less important to the buyer, the home inspector and the licensed people who solve these problems. A good example is the two pronged outlet that is part of the base of old bathroom light fixtures from the 40’s and 50’s. Since those were installed, the building codes have changed to require electrical outlets near water (the sink) to be GFCI protected to prevent accidental electrocution. Yes, those old outlets still work but they are not safe. It is not uncommon for the home inspector to strongly recommend replacing them with a GFCI outlet in the wall. Emotions run high during a real estate transaction and buyers are at their highest level of anxiety during the home inspection. It is not the time for their confidence to be eroded by a long list of defective items and needed repairs. Be cautious of selling “as-is”. A seller will occasionally ask to convey an item in “as is” condition. The conveyance of an item or two in “as is” condition may not significantly affect the prospective purchaser’s interest in your home. But it may erode confidence somewhat and cause an even more careful analysis of the problem. “Why doesn’t it work? Why didn’t they fix it? What else might be wrong?” Whenever possible, it is better to eliminate the concern before they ever know of it by repairing the problem in advance of marketing your home. However, in the case of an “as-is” sale, no repairs may be necessary but the need for them will certainly be reflected in a significantly lower sale price. At some time in the past, your home may have had an infestation that was treated. 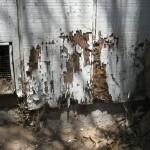 Termites and other wood destroying insects fall into a special category. Most contracts include a paragraph dedicated to this subject and provide the buyer an opportunity to have the home inspected for any infestation or damage caused by wood destroying insects. 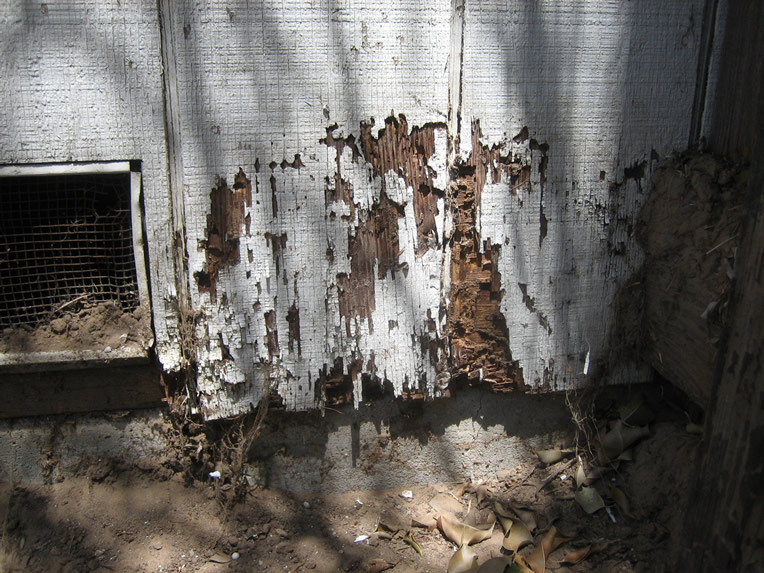 The customary language of the Termite paragraph states that it is the seller’s responsibility to have any infestation treated and to have a licensed contractor repair any “visible” damage. Keep in mind that the termite paragraph also includes damage from powder post beetles (rare in our area) and carpenter bees (very common in our area!). Many homeowners choose to have a termite warranty with one of the local termite companies which would protect them from the cost of any required extermination. Please note that most warranties only cover treatment, not damage. A local company whose warranty includes a provision for damage repair is Capitol Termite and Pest in Bethesda, MD. It would not be unusual for purchasers to make their contract contingent upon a radon test of the premises. Most often this is done in conjunction with the home inspection but the results are not usually available until two days later. If your home has a radon level above the EPA action level (currently 4 picocuries per liter), then you may be asked to undertake corrective measures to bring the reading under that level. As a seller, once you have knowledge of a radon test result, it is your obligation to reveal such result to a future potential buyer. For that reason, it is usually best to make the repair and move forward with the current buyer. The good news is that a sub-slab ventilation system can be installed for under $1,000 that almost always eliminates the problem. Be mindful of asbestos tile. These are days of environmental concern and there is a great focus on the 9”x9” linoleum tiles that were installed on the floor of countless basements in our area. It has been publicized that these tiles may contain asbestos and the home inspectors must make that known to the buyers. The mere mention of the word causes anxiety and fear and sellers are often asked to mitigate the problem. That can be done expensively by having a qualified, licensed, EPA and MDE approved contractor remove the tiles. But the less expensive and more common remediation involves covering the tile with vinyl or carpet to prevent any contamination. Because of the emotional component associated with this issue, it is highly recommended that a seller address this problem before it becomes one – in advance of marketing the home.